Daniel Edwards is pinning his hopes of walking again on a set of robotic legs. The 25-year-old football-playing motorcycle enthusiast is paralysed from the waist down after an accident at work three days before Christmas in 2016. 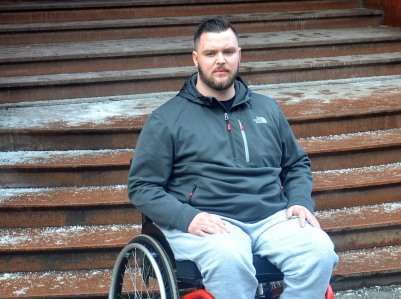 He was working for Mercian Recycling Limited in Birmingham when a fall resulted in a crushed vertebra that has left him paraplegic. The company who admitted a breach of Health and Safety Regulations at an earlier hearing has been fined £80,000 by Birmingham Magistrates. Tim Beasley, of Levenes Solicitors, says that the accident should and could have been easily avoided. Daniel was working with a recycling team removing items from a conveyor belt. When it became fouled it was stopped and Daniel sent his team to another part of the site whilst he set to work clearing the obstruction. However, the conveyor belt was accidentally switched on and Daniel fell down a shoot suffering his injury. 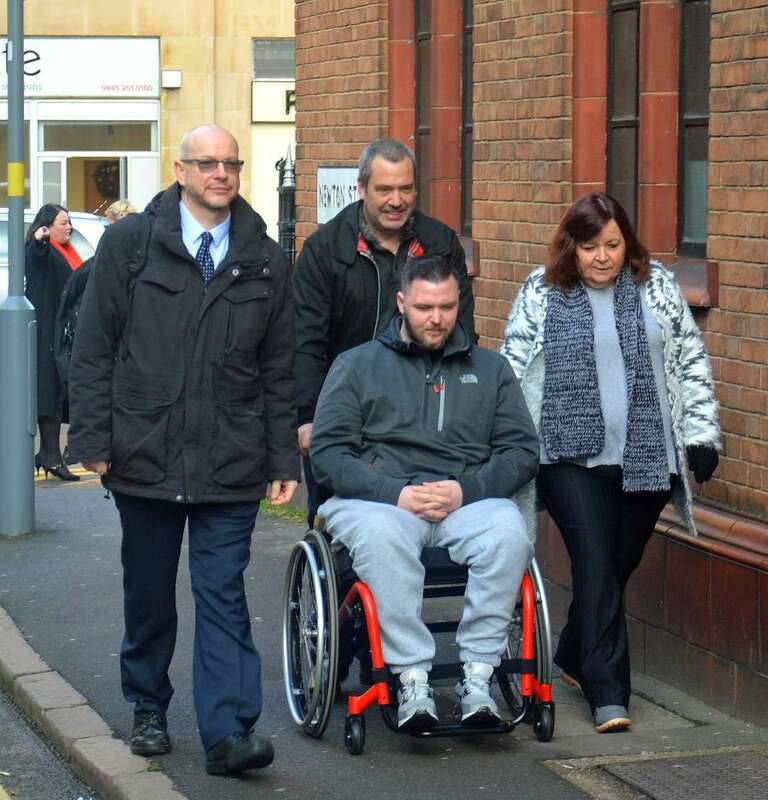 He was taken to the Queen Elizabeth Hospital in Birmingham for emergency treatment before being moved to a special spinal injuries unit at Oswestry in Shropshire. Now back home, he has a conventional wheelchair and there have been limited modifications to the home where he lives with his parents. He is receiving physiotherapy and psychological support. Now Levenes Solicitors, specialist in personal injuries claims, are helping Daniel to get the support he needs to make the best of his life. “This accident could and should have been easily prevented by a simple measure ‘locking off the machine’ whilst Daniel was working on it,” said Tim Beasley of Levenes Solicitors. “There was no manual, proper training or safe working practices. “A simple procedure with a key to lock off the machine that is kept by the person working on the conveyor belt would have made it impossible for this accident to have happened. Currently, Daniel lives at home with his mum Kath (59) and dad Mark (55) who worked at Mercia Recycling in Kings Norton and was on site when Daniel had his accident. “Eventually, Daniel will need a home of his own which will need to be a specially converted bungalow,” added Tim Beasley. “He will need a more advanced wheelchair and a car that has been converted to enable him to drive. Daniel is still trying to come to terms with what happened to him. “I plan to go the college and want to help people who have been through the kind of experience I have gone through,” he said. “Before the accident I was very active and played football two or three times a week. This has also been reported on the Shropshire Star website.